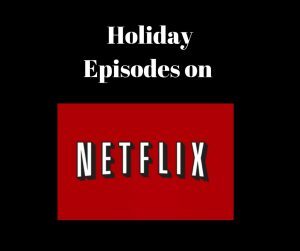 All Your Favourite Holiday Episodes on Netflix! 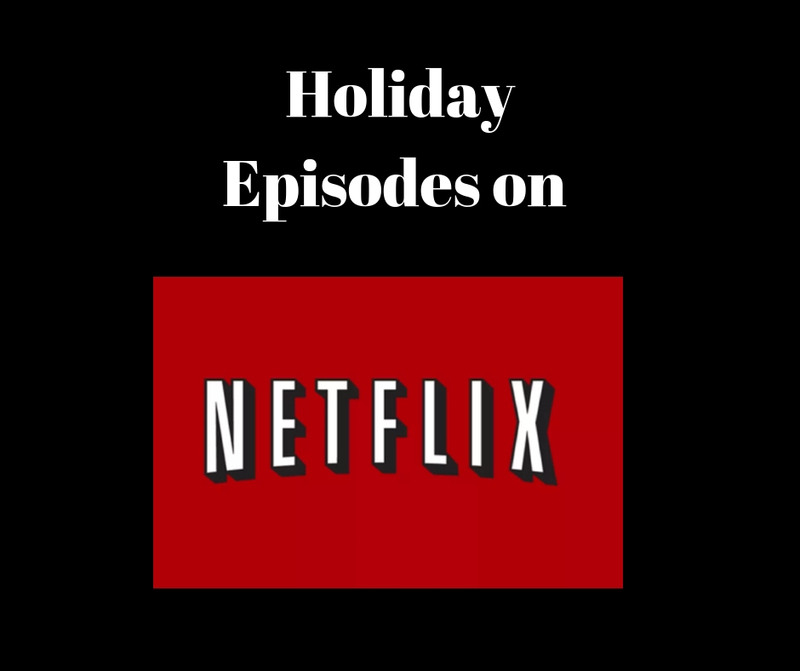 If you’re not in the mood for Hallmark movies but want to curl up and watch a seasonal show – check out these Holiday episodes from some of your favourite shows on Netflix! The Office – season 2 episode 10, season 3 episodes 10 and 11, season 5 episode 11, season 6 episode 13, season 7 episodes 11 and 12, season 8 episode 10 and season 9 episode 9. How I Met your Mother – season 2 episode 11, season 4 episode 11, season 6 episode 12, season 7 episode 12, season 8 episodes 10,11 and 12. Gilmore Girls – Season 1 episode 10, season 2 episode 10, season 3 episode 10, season 4 episode 11, season 5 episode 11, season 6 episode 12, season 7 episode 11 and a Year in the life, Winter. Friends – Season 2 episode 9, season 3 episode 10, season 4 episode 10, season 5 episode 10, season 6 episode 10, season 7 episode 10, season 8 episode 11, season 9 episode 10. Brooklyn Nine-Nine – Season 1 episode 11, season 2 episode 10, season 3 episode 10, season 4 episode 10, season 5 episode 10.